Check out Tobi's Lottie Rib Dress Find any excuse to wear Free People's Lottie Rib Navy Dress this fall. This mock neck sweater dress features cute short sleeves, side buttons running down the dress, and an A-line silhouette. Watch the leaves change in this sweet rib knit sweater dress! 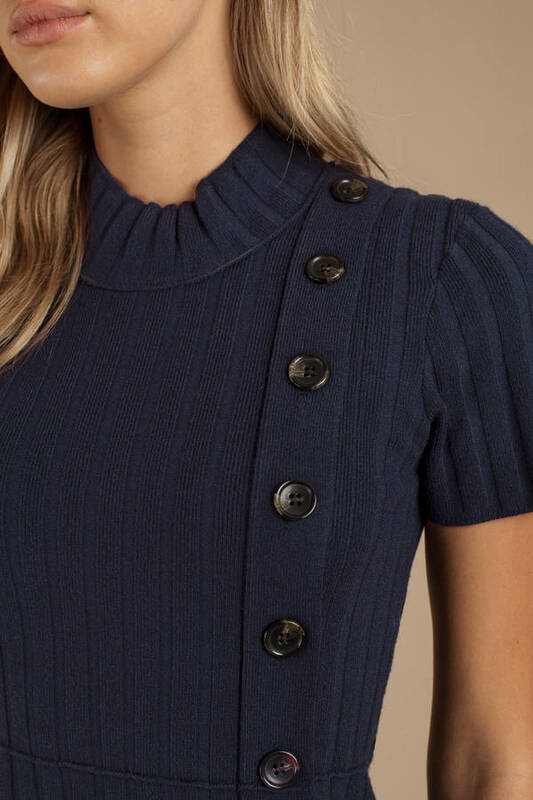 Find any excuse to wear Free People's Lottie Rib Navy Dress this fall. 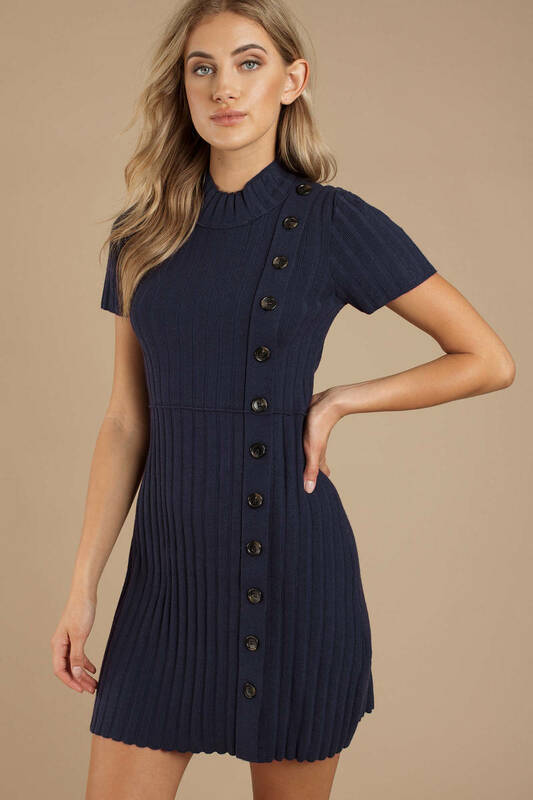 This mock neck sweater dress features cute short sleeves, side buttons running down the dress, and an A-line silhouette. Watch the leaves change in this sweet rib knit sweater dress!